To get the number of direct bookings climbing, you need a competitive edge. This means catering for your guests who would love nothing more than to have their mind blown by technology. Although the location of your property is important, along with the features and price, guests are looking for something more. To stand out in a crowd and make sure your property is the one that is chosen means having something to offer that’s unexpected, and a bit different. This is where your use of technology can be a real asset. Your online presence is a large part of this; first impressions really do matter. How you use technology and present yourself digitally will contribute to how your business is perceived. 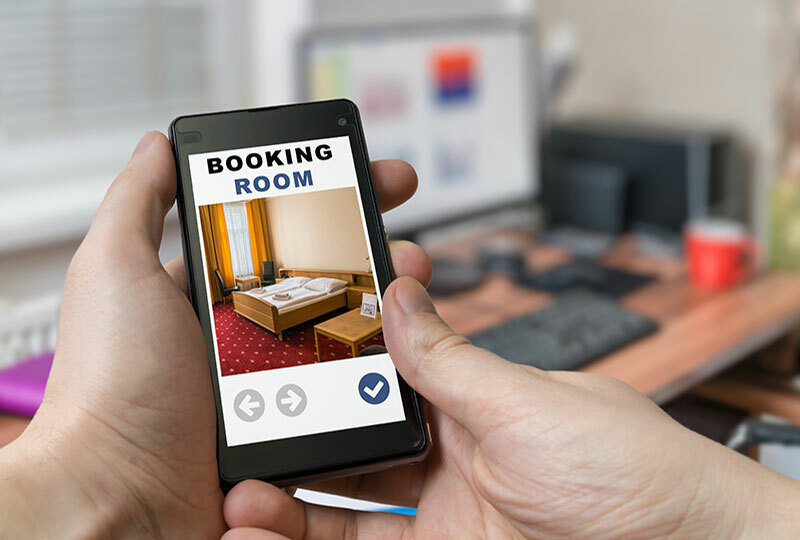 When it comes to making a booking, information is king. Guests don’t want to feel like they’re making a decision in the dark. To help provide guests with as much detail as possible, hotels need to come up with new and creative ways to get their message across. Words and descriptions are certainly helpful, but can you think of any better way to provide a truly immersive experience than by offering panoramic views of what’s on offer? Using 360 imaging, it’s possible to show your guests what they’ll get with your hotel, allowing them to experience it from every angle, just as if they were there. This technology provides the chance for guests to step into your world virtually, a real wow factor for your digital presentation. Guests will spend longer on your website as 360 technology is more immersive than a simple flat photo. This is important because not only will it increase the chances of getting a booking, it will also boost your SEO ranking on Google. Research suggests using interior and exterior tours boosts bookings by over 45%. Opting to use 360 will put you ahead of the competition as very few businesses are using it yet. This provides you with all of the above advantages that your competitors won’t be able to enjoy. 360 imaging doesn’t need to be difficult or complex, and now with Facebook introducing 360 photos you can reach an even greater audience. Many studies show that over half of people are influenced by social media when booking a trip. This puts you in the ideal position to really showcase exactly what you’ve got on offer by providing engaging panoramic pictures. On your website you’ll want professional-grade photos but on social media, it’s fine to have a more casual approach. This helps potential customers to engage and means you won’t appear too remote or stuffy. Using your phone’s features to create 360 images is fine for Facebook and means you can snap pictures of local landmarks, or share pictures of events. More and more customers are becoming familiar with technology and as an industry, it’s essential to respond to demand. By being one of the first to adopt 360 imaging, you can carve out a reputation as a hotel which is forward-thinking and in tune with the modern generation.